You wouldn’t think that Spain is cold country even with the Mediterranean climate, although the days are slowly becoming longer, it can still be chilled early in the morning and late in the evening. But there are ways to warm up your day with a visit to one of many incredible natural hot springs around Spain. Known for the best quality of open-air spas in Europe, the relaxing Lo Pagán baths provide a comfortable and healthy experience all year round from the Mediterranean Sea of Mar Menor. The mud treatment is said to be especially effective for skin problems. 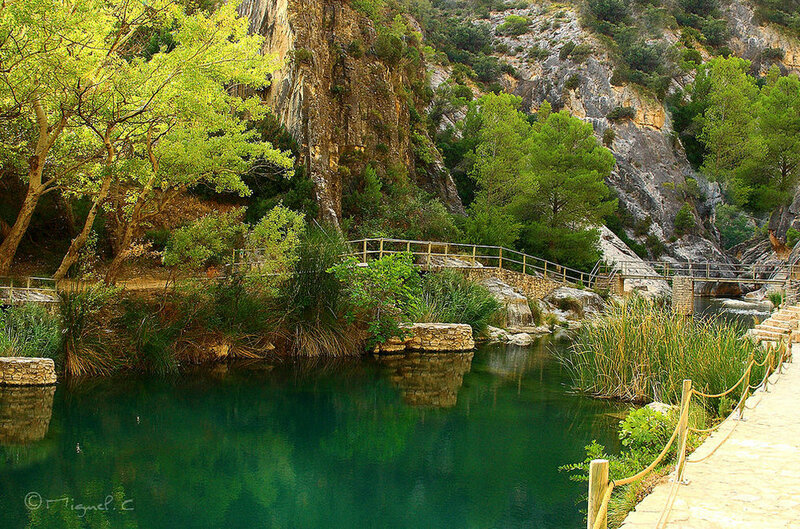 The host of hot springs offered from the natural steamy 47⁰C Arabic baths provide super healing properties that help with healing some diseases and conditions from within the mountains of Alhama de Granada. The blend of chloride, calcium carbonate, magnesium sulphate and sodium chloride in its waters allow the Fontcalda thermal baths, in the mountains, to provide powerful benefits to your vitality. The natural spring water comes straight from the Canaletes river and feeds the hot spa directly.